It was Nina’s bedtime, and she said she had to take care of something in the kitchen first. 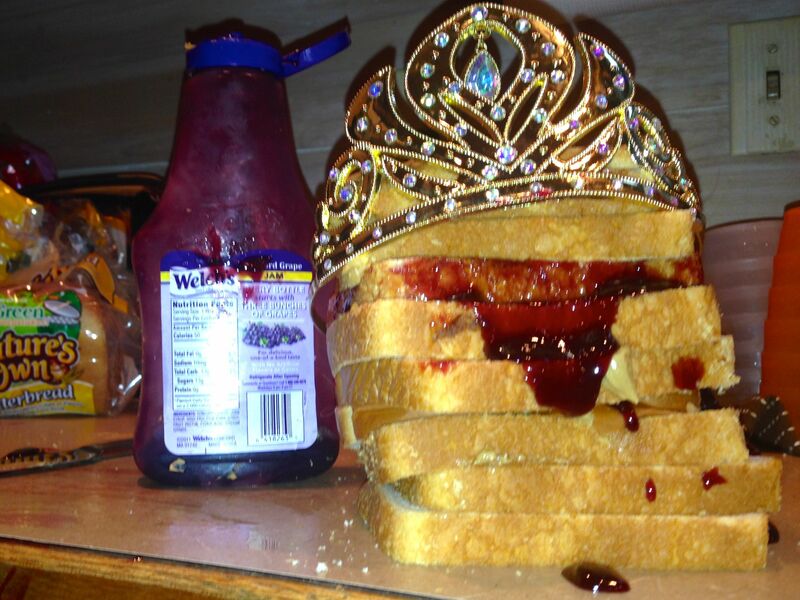 When I checked on her a few minutes later I found her spreading a massive glob of grape jelly on a PBJ sandwich. She had already made three sandwiches, and had them stacked one on top of the other.